OR Tambo International Airport, situated in the Kempton Park district of Johannesburg, is a gateway to the wonderful attractions on the African continent. Serving as a test airport for the Concorde in the 1970s, OR Tambo now sees over 19 million people passing through its doors each year. OR Tambo International Airport (IATA code: JNB) is the biggest airport in South Africa and the hub airport of South African Airways. Flights to OR Tambo International Airport are provided by international airlines such as Emirates, British Airways and Qatar Airways. Domestic airlines that land here include Kulula and FlySafair. JNB is located on a 25-minute drive from Johannesburg’s city centre. Book your cheap flights to and from OR Tambo International Airport online! OR Tambo International Airport is the largest and busiest airport in South Africa. Formerly known as Jan Smuts Airport, it was renamed OR Tambo Airport in 2006, in commemoration of the former ANC President, Oliver Reginald Tambo. OR Tambo operates scheduled flights to all 6 inhabited continents around the world, and serves as the gateway to the vast majority of southern African countries. Ahead of the 2010 FIFA World Cup, the airport underwent major renovation, and is now home to state-of-the-art-facilities. Address: 1 Jones Rd, Kempton Park, Johannesburg, South Africa. Compare and book cheap flights with South African Airways to and from O.R. Tambo with popular flight routes from Lagos to Johannesburg or Abuja to Johannesburg. Have your pick of the vast array of shops at OR Tambo International Airport, where you can indulge in some retail therapy or pick up some last-minute essentials. Aside from world-class duty-free shopping, there are clothing, jewellery, beauty and craft stores throughout the terminal buildings. Services include pharmacies, a clinic, post office, banks and foreign exchange. Please be aware of baggage restrictions and duty-free allowances at your destination. Also, most shops and services are not available once travellers pass through security. OR Tambo caters to a large range of food and drink options. Various cuisines are available in restaurants, bars and fast food outlets, both landside and airside. The OR Tambo domestic departures terminal has superior lounges for travellers on South African Airways, British Airways and BidAir. 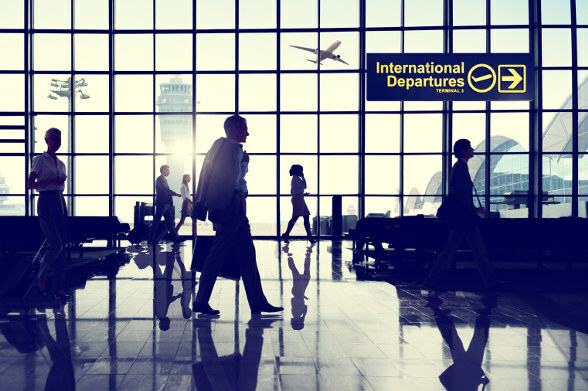 Lounges available in the international departures terminal include British Airways, Bidvest Premier, SAA, Emirates, Air France and Virgin Atlantic. OR Tambo Airport has a wide range of facilities, including accommodation, banking, prayer rooms, conference centres, self-service check-in kiosks, a medical clinic and post office. This 3-star hotel is a 5-minute walk from the OR Tambo International Arrivals terminal. Amenities include a fitness centre, boardroom, laundry service and restaurant. Complimentary Wi-Fi is available. This 4-star guesthouse is a short 10-minute drive from OR Tambo Airport. Amenities include a restaurant, outdoor pool, and airport shuttle. Complimentary breakfast, Wi-Fi and parking are included. This 3-star Art Deco hotel is a quick 5-minute drive from the airport. The hotel is fitted with an outdoor pool, fitness centre and conference room. Free airport shuttle and Wi-Fi available. Foreign exchange can usually be purchased 60 days before departing South Africa. Travelex, Bidvest Bank, Rennies and Master Currency outlets are located in the Arrivals area of Terminal A. Parking options available at OR Tambo Airport include regular parkade bays, shaded parking, carports for long stays, and short-stay parking. Parents travelling with babies can access XXL bays on Level 2 of P2 North. Parking can be paid for in cash or by credit/ debit card (Visa or Mastercard only). Secure parking can be pre-booked online from the airport website at discounted rates. OR Tambo International Airport is located 23km north-west of the city centre, while Pretoria is a 46km drive south of the airport. Metered taxis, Uber, airport shuttles and car hire options are available to transport you from the airport to your destination.